This week's Energy Forecast comes from the Father of Pentacles in the reversed position. With this particular card, it felt like we're being challenged to break out of our routines this week. Many times, our routines keep us feeling safe because they're dependable and we know what to expect. However, sometimes we have a voice that pops up that asks us to try something different, but we're hesitant about it because it's unfamiliar and possibly a little scary to us. 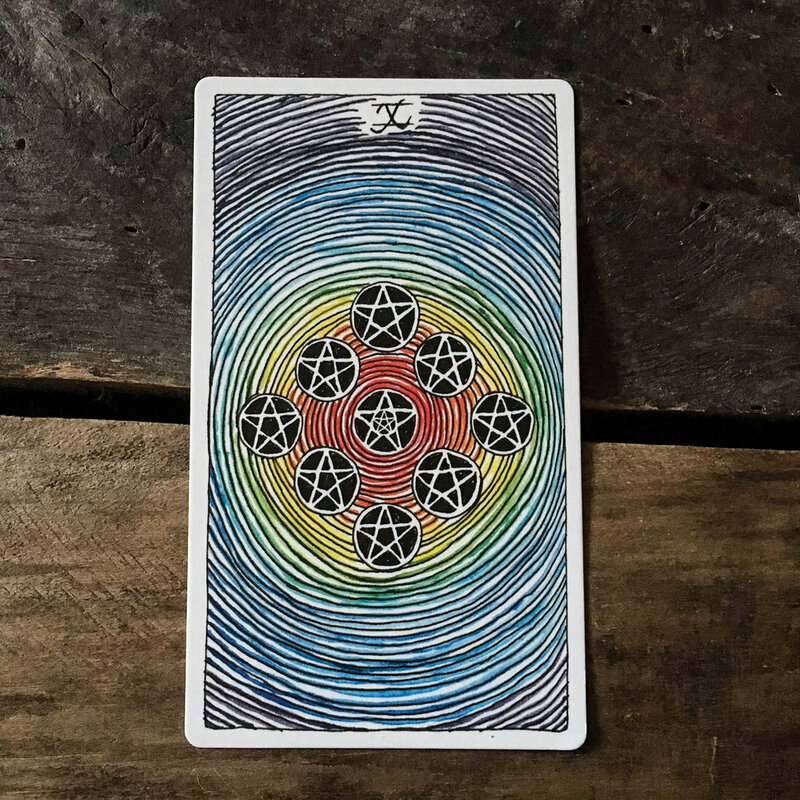 It feels like the Father of Pentacles is asking us to trust that voice this week because it's connected with our Higher Self. Yes, what it's asking you to do may be unfamiliar, but many times our Higher Self is simply trying to guide us towards an opportunity we would have missed otherwise. By sticking inside the comfort of your routines, you might miss something wonderful that the Universe is trying to send you. It might even be the answer you've been looking for . If you're feeling wonky about it, try incorporating the "Yes/No" exercise that we discussed last week. Overall, examine where in your life you can step outside of your comfort zone this and challenge yourself to do just that. This week's guidance comes from the Page of Coins, reversed. It indicates that there is a block that's holding you back from going after something that you really want. Whatever this thing is, it has the potential to bring you a lot of happiness, so I encourage you to ask yourself where you've been holding yourself back. Trust what comes up for you. Perhaps this block stems from feelings unworthiness. To get a better idea, I pulled the bottom card, which is often referred to as the foundation card. It helps us get a better idea of what the underlying energy of the situation is. The foundation card turned out to be the Magician. The Magician is such a powerful force in the Major Arcana, and it felt like we're afraid of our own power. We're afraid of what happens if succeed. This week's cards encourage you to stop being so afraid. Stop holding yourself back. You are meant to shine, and it's time to let yourself do so. Normally, the Nine of Cups is a card of happiness, joy and peace. However, this week it has turned up in the reversed position. I read reversals a little differently than some and, to me, this reversal is about an inward expression of energy. What this means is that this card feels like its message is about turning inward and discovering the things within us that bring us happiness, joy and peace. When we no longer depend on our outer circumstances to make us happy, we become like a brick in a raging river. The water may be rushing one way or the other, but we remain unchanged and don't allow it to drag us along with it. Your circumstances are constantly changing, but they can't affect you if you have an inner source of joy. The other great thing about this shift is that the more you start to focus on that peace within yourself, the more it will begin to manifest in your life - "As above, so below. As within, so without." Discover what it is within you that lights you up and you'll be able to see a clear path even in the darkest of times.